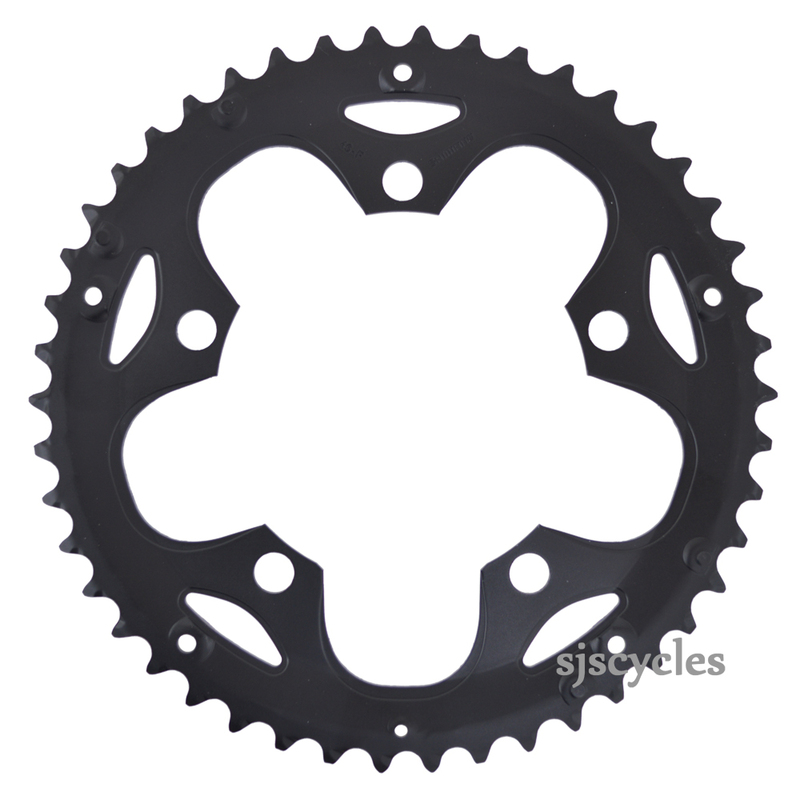 This Outer Chainring can only be used with Shimano Claris FC-2450 8spd Double Chainsets with a 46-34T set up. Can I Use This As A Single Chain Ring? Can I use this as a single chain ring on Shimano Claris 8 speed with an 11/32 cassette? Ideally I would want 44 or 42t. Are there alternatives that fit a Claris crank? There is nothing stopping you using this a single chainring, it is a geared chainring so will have shifting ramps and pins but it can still be used as a single chainring. Any 110BCD chainring can be used with your cranks, it does not need to be a Claris specific one. Our Thorn Single ring specific chainrings (SJSC part 11053) are available in a large range of sizes including 44T and 42T and would be suitable for use with an 8spd chain. The only thing you'll need to be careful of is as you run a single ring the chain line will need to be adjusted to a more central position.